As whisky “peat-freaks”, Islay holds a special place in our hearts. 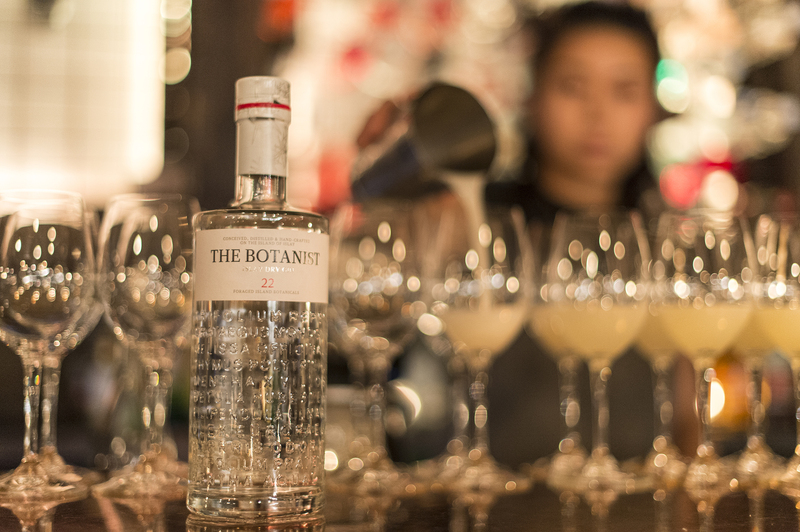 However, the single malt Mecca is also home to one of our favoured gins – The Botanist. 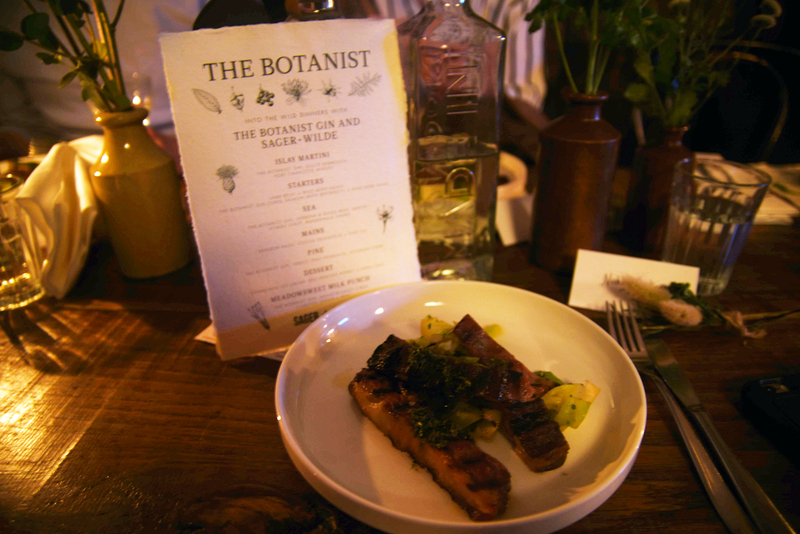 This London Cocktail Week saw The Botanist gin pair up with Sager + Wild for a series of “Into the Wild” dinners inspired by the Hebridean Island’s terrain. Sated took a break from bar-hopping to enjoy this unique experience and find out more about both brand and venue. Sager + Wilde is well-known to us as it resides within one of the railway arches on one of our favourite streets in Bethnal Green (read more about said stopping-ground here), however we’d never been to one of their events before, so we were already rather excited by the prospect. On entering, we are led upstairs to a mezzanine floor that has been transformed into gorgeously atmospheric woodland grove. 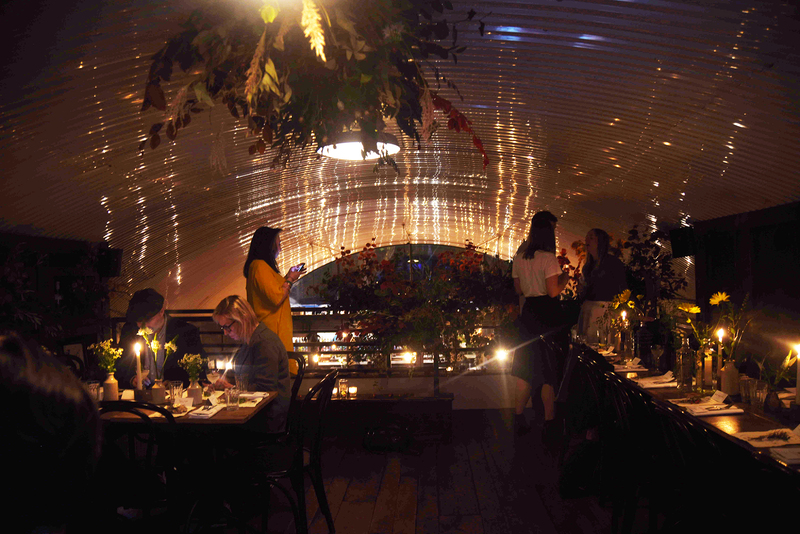 Long sharing tables are dressed with foliage, wild flowers and candles, with tiny bouquets resting on recycled paper menus. We take our seats and sip on our Islay Martini welcome cocktails whilst Bar Manager, Marcis Dzelzainis, talks us through the collaboration between the venue and the gin, which began about a year and a half ago when he first got in touch with Abi Clephane (Brand Ambassador for The Botanist). Since then, he and Head Chef, Chris Leech, have been on a trip to Islay to forage with the locals and learn about the flavours and ingredients the island has to offer. Their discoveries are what have influenced the event’s menu. This has certainly been achieved with the Islay Martini, which is the perfect introduction to The Botanist. The gin is laid bare, its complex zesty citrus and herbaceous notes receiving a fresh and salty hit from a homemade seaweed vermouth. An allusion to Islay’s smoke appears on the palate but the overall expression is clean and smooth. 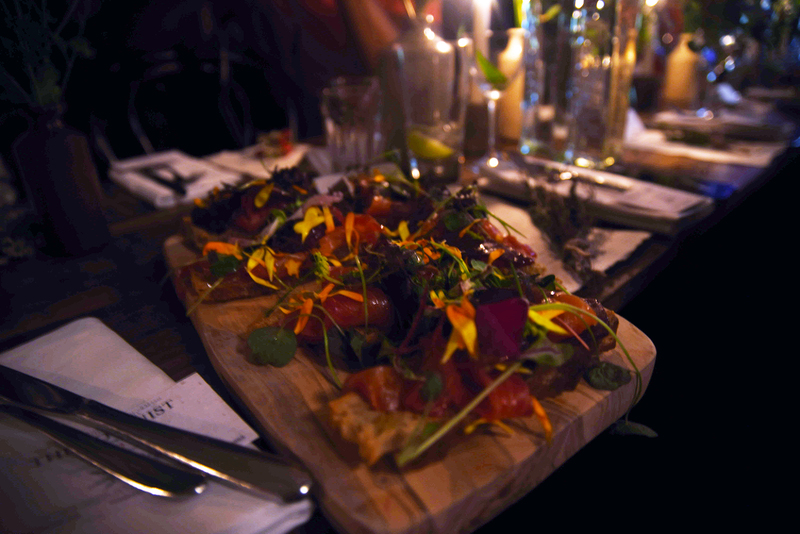 The starter of The Botanist Gin Cured Salmon with Beetroot and Wild Herb Salad is welcome sight. The red salmon languishes atop thin crisp toast, festooned with bright petals and young green leaves. Delicate and moreish, we could quite happily dine solely on these beauties. The next drink, inspired by the sea surrounding Islay, arrives just in time to accompany the last few morsels of salmon. 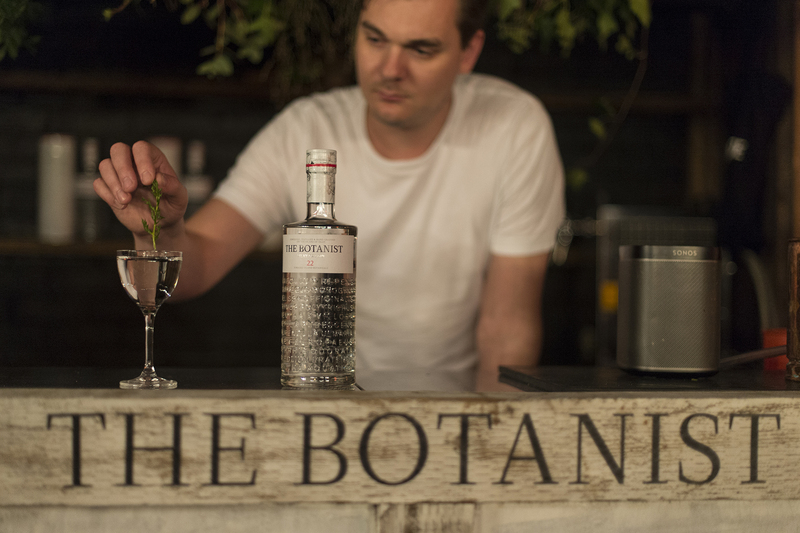 The Botanist gin is accompanies lemon verbana beer, which has been brewed with pondweed to trigger lactic fermentation, resulting in a very sour taste. Combu syrup and Manzanilla Sherry add a saline quality before the drink is topped off with lemon and orange juice to create a Tom-Collins-esque palate cleanser. Up next, two pull-apart portions of Lamb Belly topped with Mint Sauce, sit on a bed of rough cut, aldente cabbage, garnished with rich jus. The meat is perfectly soft and full-flavoured, and brings us firmly onto dry land for the next course of Venison Ragu with Cocoa Tagliatelle and Pine Oil. Thick ribbons of freshly made, dark pasta combines with slow-cooked venison to culminate in a comforting dish that keeps the evening’s chill at bay. The cocoa adds an earthy undercurrent that works with the heady game as well as the Pine cocktail, which Marcis explains was inspired by walking through forests on Islay and has been made using two types of pine hydrosol (Douglas Fir for a grapefruit notes and Scottish pine for freshness), Vertus, Asturian Cyder and The Botanist gin. The result is an incredibly refreshing, light and airy cocktail that gently alludes to a pine grove on a crisp morning. 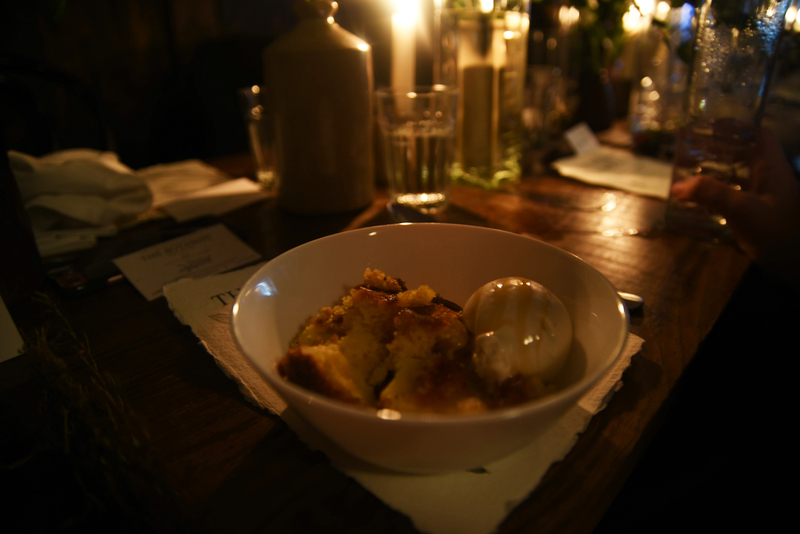 Dessert arrives in the form of Apple Cake, served with Chamomile Ice Cream and drizzled with Bell Heather Honey. The sponge is sweet and crisp on the outside with soft, honeyed apples keeping its soft and pump. The smooth ice cream is delicately floral, pairing perfectly with the heather honey. 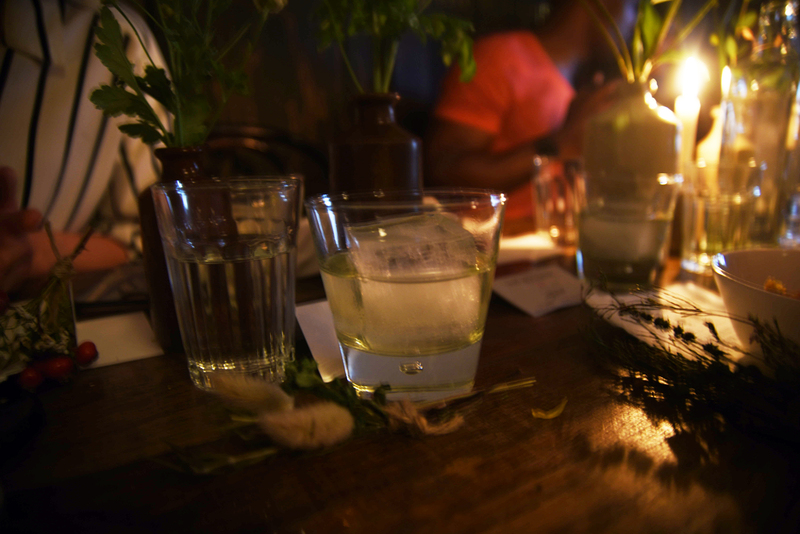 Marcis explains that our final tipple of the evening – the Meadowsweet Milk Punch – borrows from a Victorian method of drinks-making. Whilst not to everyone’s taste, the creamy quality produces a smooth drink that matched the dessert well, whilst the slightest hint of aniseed and the gentle citrus from The Botanist prevented it becoming sickly. 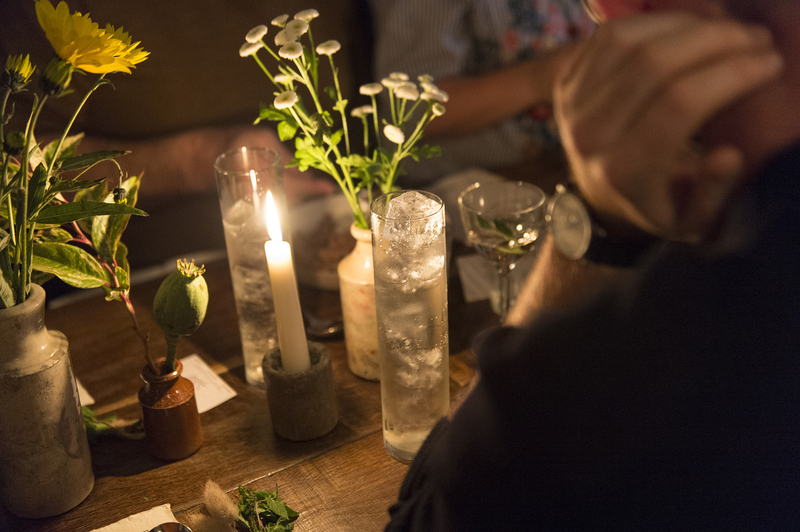 Our appetites sated and our heads awash with Islay, we wondered out into the night with a new sense of appreciation for the island’s produce and a renewed love for its quirky kin The Botanist gin. 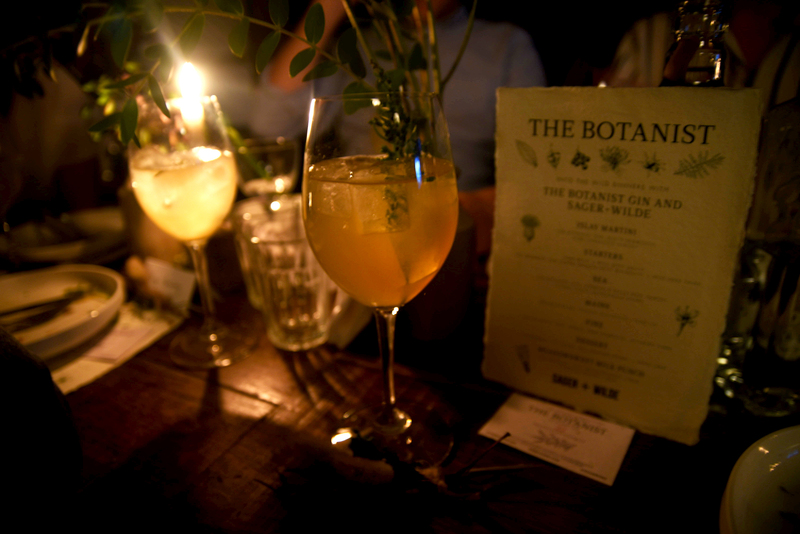 Click here to find out more about The Botanist gin and here for Sager + Wilde.